2D LiDAR sensors from SICK's TiM series deliver precise measurement data for navigation purposes. For Industrieservice Schach, working with SICK as a one-stop supplier is paying dividends both technically and financially. 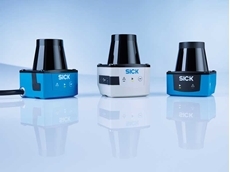 Safety systems with specifically-tailored applications are becoming an increasingly vital part of SICK’s strategy for the technology of the future. The aim is to provide OEMs with ready-to-install packages containing not only hardware but also necessary documentation and information relevant for certification. One reason why this new approach is particularly attractive for the manufacturing industry is that SICK has expanded the systems to include customised safety services too. As a provider of complete solutions, SICK provides the tools for customers to make ambitious modernisation projects a reality. It’s always good to know that danger can be isolated behind closed doors. But if someone does stray into a dangerous area, it’s also good to have systems that will reliably detect this – preventing injuries caused by machine movements. 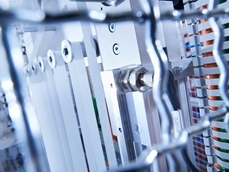 Safety switches with guard locking or even finely woven light curtains are in everyday use within plants. If an event in the control system occurs, the machine is shifted to a defined safe status. The range of safety functions out there is many and varied, and so too are the components that are available in the automation market. But with all eyes now firmly fixed on Industry 4.0, the question for the safety technology industry is - how flexible is the interaction between sensor technology and actuator engineering going to be in the future? And how much intelligence will be needed to make adaptations in line with dynamically changing production conditions? The Safeguard Detector safety system from SICK reveals exactly what this approach involves in practice. Viewed from a purely functional perspective, the Safeguard Detector is a complete safety solution that is easy to implement in packaging machines. For example, it can monitor material transportation on carton magazines. There are conventional methods available for protecting hazardous areas, including mechanical tunnel covers combined with safety switches. However, this method restricts the machine operator’s access, limiting both accessibility and flexibility. A much more sophisticated and productive method is to secure the hazardous area in such a way that access can only be gained when the carton magazine falls below a specific minimum fill level. 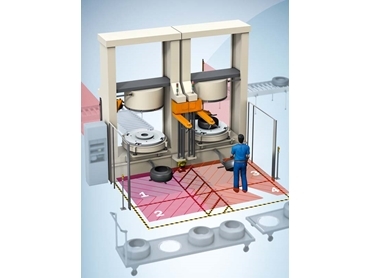 Taking a production-guided approach to safety technology, this strategy prevents accidental access to the safety zone. It is a concept that also conceals another beneficial aspect – a higher production speed and more space thanks to smaller protection zones. The Safeguard Detector has everything that is necessary for implementing a specific safety function in an actual application. This includes the safety controller as well as project planning software, safety characteristic value calculations, circuit diagrams, installation materials, and sensors. 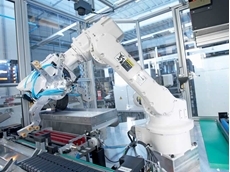 Additionally, safety systems such as the Safeguard Detector mentioned in the example above are TÜV-approved and reach the safety level required for an application in a way that is tailored for use with packaging machines. For example, the Safeguard Detector satisfies the requirements of performance level “D” in accordance with EN ISO 13849 and SIL 2 according to EN 62061. SICK takes this concept even further. Safety systems provide solutions for typical safety functions that need to be applied over and over again. The packages are configured so that customers can order all the materials they need for installation using a single part number. This part number does not simply represent the individual sensor, or a controller or the connection cable – instead, it represents everything that is needed for the application in question: hardware, operating instructions, training, certificates, plus technical data and software. With everything including certification provided ready-prepared, SICK makes the machine engineer’s work easier and faster. After all, where machine engineers’ core skills lie are in production processes and process technology; safety technology is not necessarily the main focus of theirs. SICK makes life easier through the prepared solutions it provides – giving customers the freedom to focus more on automation. Alongside the Safeguard Detector, other safety solutions that are frequently requested include packages for autonomous vehicles in logistics, sheet metal working machines, production facility access monitoring, and storage systems. Every package has been designed based on a modular concept, enabling the number of safety systems to be expanded easily using the extensive portfolio and thus making it possible to find quick solutions to new tasks in the future. With this in mind, SICK also offers Safety Solutions, which even include safety services straight from the factory – a particular boon for machine operators who are looking to modernise their plants using safety technology. 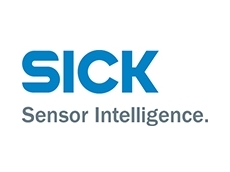 SICK’s strategy for safety technology, favouring a view of the system as a whole rather than focusing purely on individual components, creates tangible advantages for operating entities too. While safety systems predominantly address mechanical engineering and plant engineering requirements, the Safety Solutions take things one step further from the perspective of system operators. In addition to the individual components and safety systems, Safety Solutions also include safety services. Engineering support that is provided for mechanical engineers can also be transferred to the end customer and their entire production plant, ultimately creating a complete solution. Safe Tire Curing Solutions is a solution for protecting the hazardous area of tire curing machines, which are used in tire production to shape and vulcanise green tires. Accidents occurring at these plants in the past have shown that the process is very hazardous, with the plants often demonstrating gaps in their safety technology measures. This results in a high risk of accidents occurring, particularly at tire curing machines that must be loaded manually by a worker. As a result, new machines must meet the requirements of EN 16474 Tire Curing Machines – Safety Requirements and are therefore being equipped with more advanced safety technology by machine manufacturers. But what about older plant models? This is where the SICK strategy comes in. It aims to take a more consistently solutions-based approach to safety technology and examine the specific challenges posed by an application. Safety services are an integral part of Safety Solutions. Existing plants can, therefore, be retrofitted quickly and routinely by experienced SICK specialists, so there is no need for customers to tie up their own resources in the process. The service portfolio includes the initial risk analysis, the safety concept, the safety hardware and software design, the installation, as well as the commissioning and validation processes in accordance with the requirements of EN 16474 and GB30474 for tire curing machines. In practice, this intelligent safety concept ultimately ensures that productivity increases, waste is reduced, and – above all – operator safety is improved. The loading area is protected by a safety laser scanner which uses its intelligent approach function to automate restarting. Either monitored access points or opto-electronic protective devices can be used to protect the area at the rear of the machine. Companies who opt for Safety Solutions from SICK to carry out retrofitting of this nature find that the process could not be simpler – from analysis to planning and all the way through to implementation in compliance with standards, everything is guided by SICK safety experts. A machine safeguarding evaluation pre-emptively reveals any existing safety loopholes. The risk analysis, which is included in this, contains all the information required for risk-minimising measures. This step needs to be carried out for the specific technical measures to be planned in the safety concept. Once the customer approves the measures, conversions or retrofitting can begin. Thanks to the comprehensive portfolio of safety sensors and systems available, the right customer-specific solution can be created at an appropriate scale. After validation and approval, the customer is provided with the documentation required for acceptance. All this means that SICK is not simply a component provider – but also a full-service provider of tailored safety solutions. Safety technology in mechanical and plant engineering is an exacting discipline. It requires in-depth specialist expertise and a constant awareness of the standards that are currently in force. That is why it makes sense for mechanical and plant engineers to seek out the advice of safety experts in this context. SICK safety services allow existing plants facing modernisation to be retrofitted in a way that is both fast and compliant with the relevant standards.